When I was about 10, my best friend and I went on a group trip to go explore some caves. I had a great time; we spent about 5 hours inside, and I just kept running around, exploring every nook & cranny, and even getting stuck at one point climbing through a tunnel I don’t think we were supposed to go through. My friend, on the other hand, didn’t enjoy the trip at all. He went around a bit, but never came close to the same enjoyment level that I had. To him, it was 5 hours of feeling kinda blah, with a few moments of “ok this is kinda cool” scattered throughout. My friend’s feelings about that cave trip perfectly encapsulate my feelings about Shadow of the Colossus. For years, I have heard about how good this game was supposed to be. Some claim it’s on their best of all time list. And don’t get me wrong, Shadow of the Colossus was a fine game. But that’s all it was; fine. When it was released 13 years ago, I’m guessing that this was revolutionary. Today, though? It’s fine. 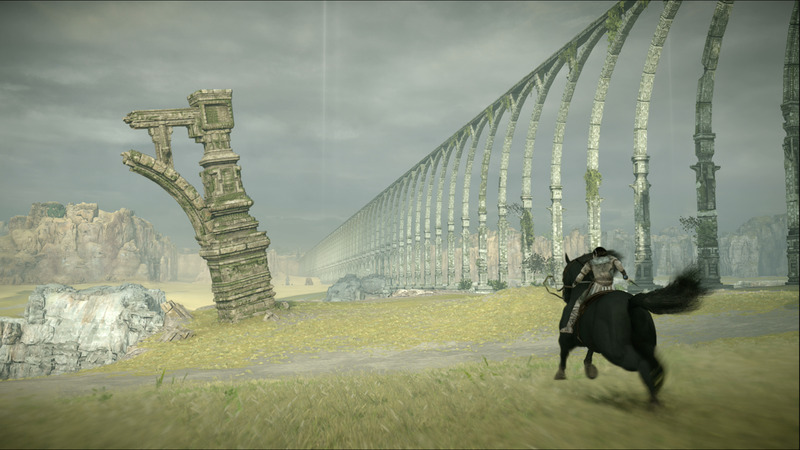 For those unaware, Shadow of the Colossus is a game about a kid with a sword, your horse Argo, and a damsel in distress. All you really know is that, in order to revive this lady, you need to go and kill a bunch of really big monsters scattered across this land you’re in. You and Argo journey together to go track down these beasts (16 in all) and slay them with your sword or bow. Did I say “really big monsters”? Because I meant it. The tallest clocks in at over 200 ft tall, and the longest nearly 500 ft long. They are absolutely humongous. At its core, though, this game is simple and small, even with the massive monster and world. 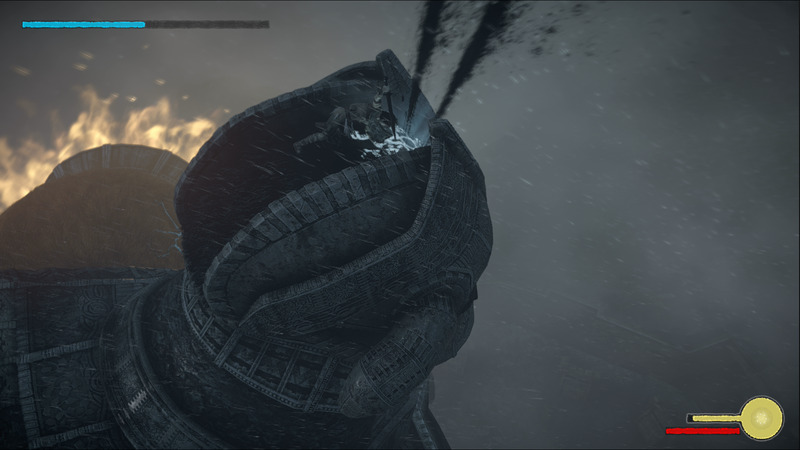 The entire point of combat is to figure out how to expose these colossus’s weak spots by climbing them or knocking them over. The first 4 colossi went down within the hour, and I had a pretty great time with it. As the game wore on, I found myself thinking “ugh, again?” with every boss I discovered. Because even though they’re all unique, the core concept for each one was exactly the same; track them down, find their spots, stab them. I hit a pretty big lull from #5 through #14, finding minimal enjoyment1 and just slogging through the game in order to check it off of my list. The final two bosses finally breathed life back into the game. (MINOR SPOILERS AHEAD, SKIP THIS PARAGRAPH) #15 had a multitude of attacks that you actually had to force it to use in order to scale it properly, and the final boss had a massive amount of ground that you had to cover & multiple spots to hit. 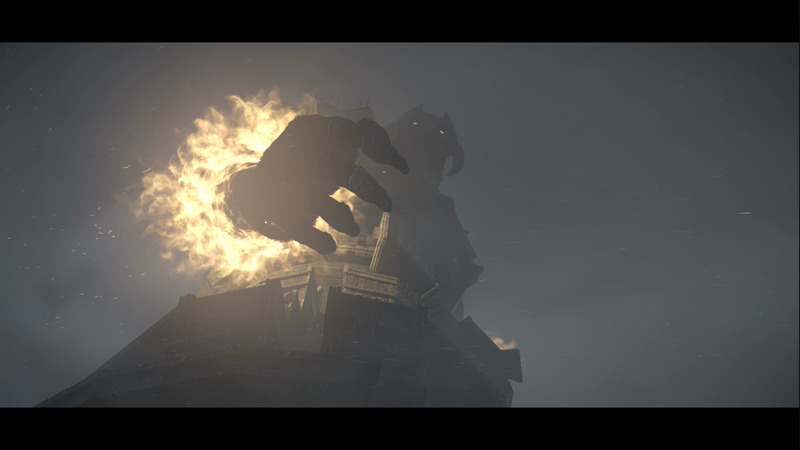 While other colossi had some complexity to them, none were as enjoyable as those final bosses. All that being said, it’s REALLY easy to see how much inspiration has been taken from this game over the years. Assassin’s Creed with all the climbing. Zelda: Breath of the Wild and the open world exploration. Dark Souls with its straight ahead, minimal explanation gameplay. 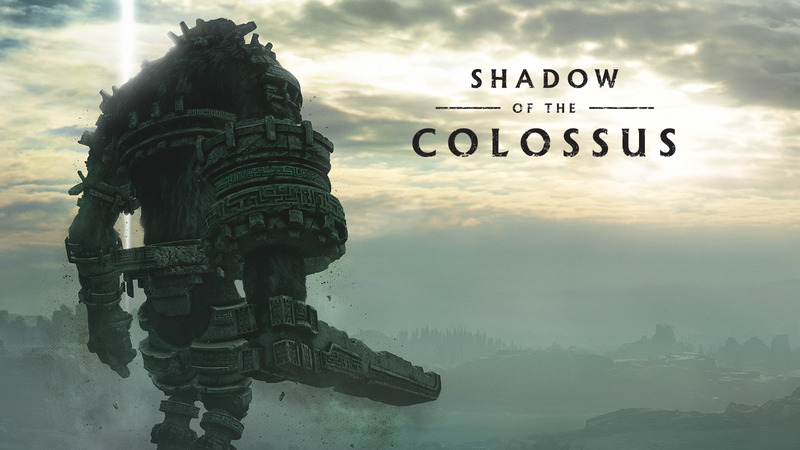 I really wish I had taken the time to experience Shadow of the Colossus when it was first released, as I’m sure I would’ve had a much different reaction to it overall. Overall, Shadow of the Colossus is just fine in 2018. Nothing more, nothing less. I’m glad I played it, and I’m glad I stuck it out to beat it. Did you enjoy this review? Did I skip anything important? Do you want to tell me how wrong I am? Use the hashtag #SotCReview when you message me on Twitter and let’s chat! Written on November 24, 2018. Posted under Review, PS4.